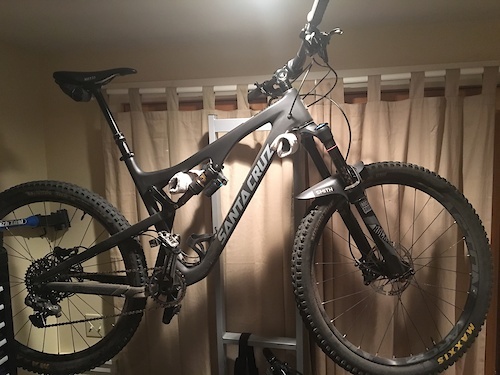 2016 Santa Cruz Bronson XO1 for sale. Size Large. Black with gray logo. Carbon CC frame. SRAM XO1 drivetrain. 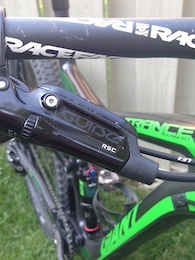 SRAM Guide RSC brakes. Rockshox Pike fork. Fox Float X shock. 150mm Reverb dropper seat post. Perfect condition! Just serviced and ready to roll. Does not include fender, pedals or bottle cage. I will cover shipping costs anywhere in the country. Motivated to sell, make a reasonable offer. 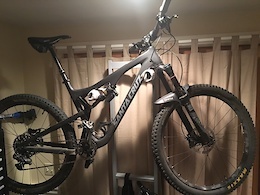 2015 Giant Trance Advanced 1 with upgrades. 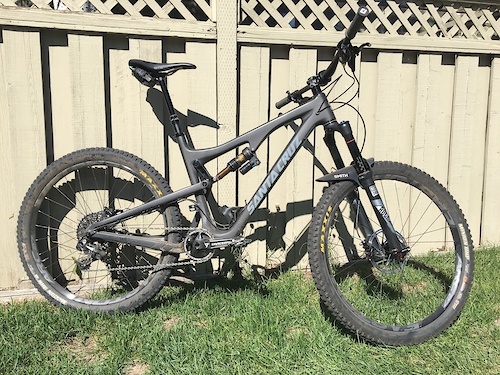 Very light and fast trail bike. 5.5 inches of travel. Climbs really well and descends with great confidence. Carbon frame. Carbon wheel set. XO carbon cranks. Dropper post. Sram XO1 1x11 drivetrain with new chain. Sram Guide RSC brakes. 180 front rotor. 170 rear rotor. Race Face Atlas handle bars. Bike includes 30T and 32T chain rings. WTB Breakout 2.5 tires set up tubeless. Can include original Nobby Nic tires as well. Bike does NOT include fender, bottle cage or pedals. Buyer pays shipping. 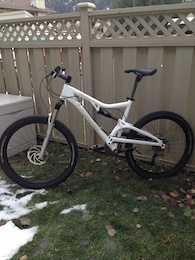 Bike was $5500 new a couple months ago plus a couple hundred in upgrades. In great condition.